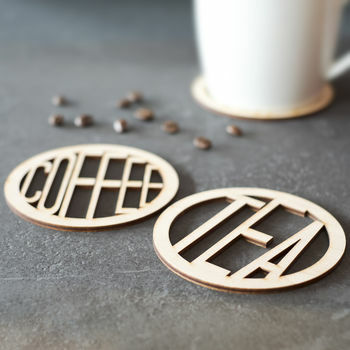 Wooden Tea and Coffee Coasters perfect for a cuppa! These original coasters will be a great addition to your kitchen and dining room tables, ensuring you know just where to place your tea and coffee mugs! Each coaster is made from Birch plywood with the words 'Tea' and 'Coffee' cut into the wood, leaving a unique accessory that's a ideal for birthday, wedding and anniversary gifts. Our Tea and Coffee Coasters come as a set of two, one with 'Tea' wording and the other with 'Coffee'. Make sure you see our other range of personalised products, including our Tea and Coffee Wooden Coasters, by following the Clouds and Currents link, or the 'see seller's complete range' link, both on this page. 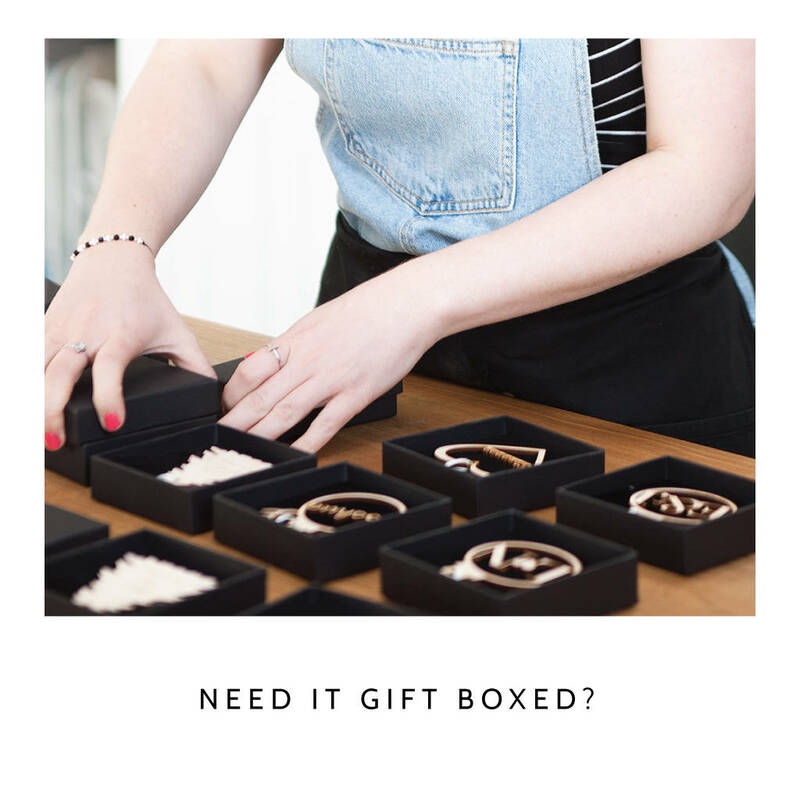 Made from Birch plywood, and perfect for giving, or taking! Each circular coaster measures 90mmx90mm and is 3mm thick.